Keep track of your clients' information including their bookings, training logs and progress. Add clients on the go from any device. Add an unlimited number of clients. Track your client´s progress, workout activity and notes, if any. Build Training templates that you can copy from client to client. 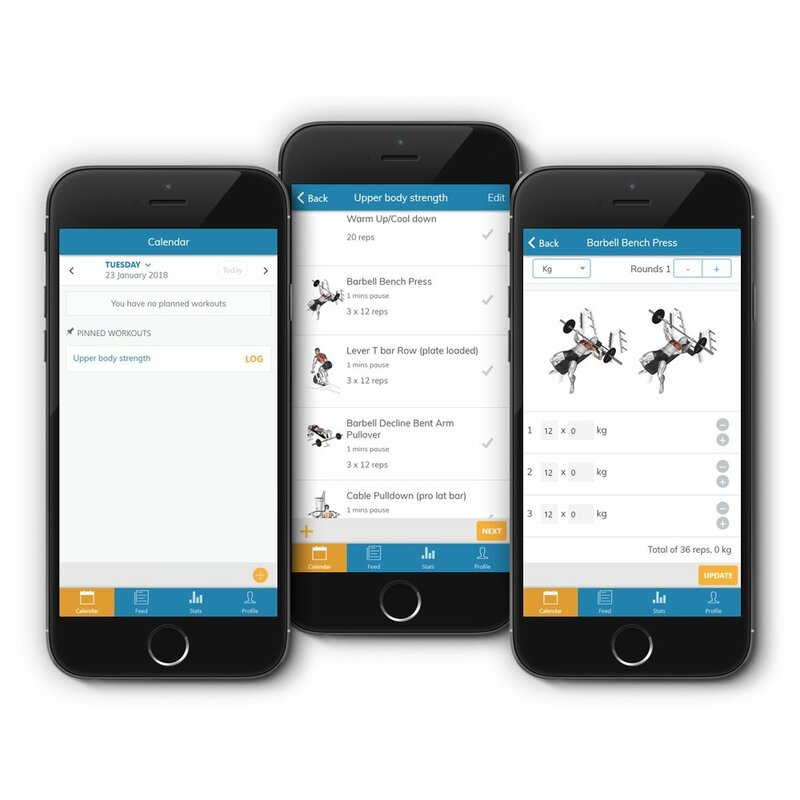 You can customise workouts from your templates in the workout builder to deliver personalised workouts to your clients. Build general or strength & conditioning workouts, group training, cardio workouts, interval training, and sports specific workouts. The calendar is more than just a schedule, it’s a collaborative solution that saves time and improves efficiency. Give yourself and your clients the freedom to book and schedule sessions. A two-way booking and scheduling system. Use the PT-Calendar to add new clients, register bought PT- packages and book sessions. Set your work hours in the web-client for clients to see when you are available for sessions. This feature is designed to help Personal Trainers maximize a client´s potential using principles that consider weight, frequency, duration and intensity over a period or an ongoing schedule. You can plan progression and monitor progression, shape and injury of your clients. Schedule sessions for weeks at time!